Childhood memories often consist of playing in the parks, posing for pictures, and eating sugar. In so many ways, Disneyland embodies just that. Disneyland became a place where kids could be kids, and adults could soak in the idea of being a kid one last time. As years went on, kids become adults, continuing the tradition of visiting the happiest place on earth. To some, the park continues to epitomize that, which is a reason thousands visit yearly, monthly, and even weekly. Urbandictionary.com even has a diagnosis for such folk: Obsessive Disney Disorder. “Disney was able to transform me into this dream world as a kid. It made me feel like anything was possible and it taught me to never grow up because it really is a trap,” says Vitus, a Disney fan from Oregon. Walt Disney, began his career with illustrations in Kansas City, sitting on his sister’s bed; she suffered from measles. Walt would use the illustrations to keep her company and entertain her as she was bedridden. Mickey Mouse made his first appearance in Steamboat Willie at the Colony Theatre in New York on November 18, 1928, where he became iconic for his voice and movement, shaping a personality that would personify what Disney would come to be. In 1940, Walt began visiting amusement parks, as he envisioned opening one of his own that would bring people from around the world to enjoy being themselves. On July 17, 1955, Disneyland opened. Millions of people, already touched by Walt’s animations, watched from the comfort of their own home on TV through the broadcasting, some even attending the ceremony. “In 2017 I became an Annual Passholder for the first time ever and besides the birth of my children, that was the happiest moment of my life. I try to get to the parks every other month if I can,” explains Vitus. Katy, an annual passholder to Disneyland in Anaheim, California, resides in Oregon and has taken her love for Disney to the internet. Going by @mainstmuse on Instagram, named after the parks’ Main Street, she visits the parks every other month. She has become popular for her Etsy.com shop where she creates her infamous retro Mickey Mouse ears, which are available to purchase every few weeks with new colorway drops as well as apparel for other Disney fans to enjoy. “You don’t know what you’re missing. It is not about the lines, the prices, the horrible pain in your legs when it’s all done. It’s about the people you’re with, if you love them you’ll have a great times,” says Noelle Villalobos, a cast member at Disneyland. Fans continue to manifest their love for their childhood memories, some of which they hope to pass down. People around the world save up yearly to experience Disneyland and everything it has to offer, regardless of the price. In 2018 Disney announced the rise in park admission prices, which upset several people. The reason was in hopes of helping with crowds with the upcoming opening of Star Wars’ Galaxy Edge, in summer of 2019. Disney implemented new ways to control entry into the park, including prices, hoping that it would create a balance between both parks. The highly-anticipated Galaxy Edge spans fourteen acres and will merge the popular theme of Tomorrowland and Star Wars. The price for an Signature Annual Passport increased from $849 in 2017 to $999 in 2018. “The prices going up at Disney don’t get to me. I pay it and move on.” describes Jenny Flake, a Disney food blogger, who posts all delicious snacks on her Instagram account @disneyhungry. The craze for the culture does not end here, as several people across the country travel to conventions such as the D 23 Expo in Anaheim, which merges all things Disney under one roof including Pixar, Marvel, and Star Wars. The expo features benefits to fans as it pushes previews of upcoming films as well as additions to parks across the world. “The nostalgia and romanticizing of my experiences there will always make it worth to me. Will I need to cut back on trips? Yes. But I would never stop going to Disney.” explains Kaitlin. Conventions and museums have also become an important way to stay connected to the magic for fans who do not live near a Disney park. The Walt Disney Family Museum in San Francisco opens the door for Disney fans to experience a timeline of Walt Disney through his ups and downs. With new refreshments to the exhibitions, two to three times a year, visitors embody the history of their favorite characters and the man behind it all. Opening in Spring of 2019, Mickey Mouse: From Walt to the World, the new exhibition to the museum will give the world a view into the character who shaped art and entertainment over the past nine decades. As new additions continue to emerge throughout the upcoming decades, Disney continues to influence people and instills their desire to never grow up. “Disney, to me, is the ultimate comfort. I know the movies, I know the history, I know the parks. 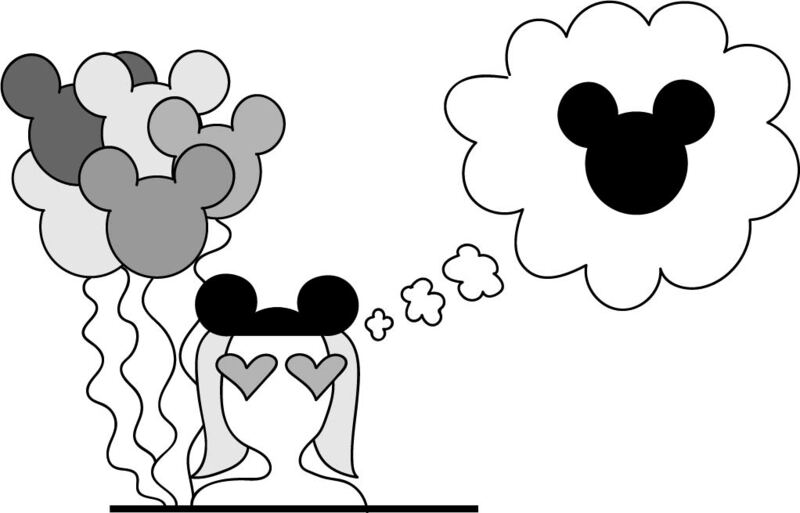 On the whole, Disney sparks joy and happiness… what’s so wrong with that.” says Czurylo.